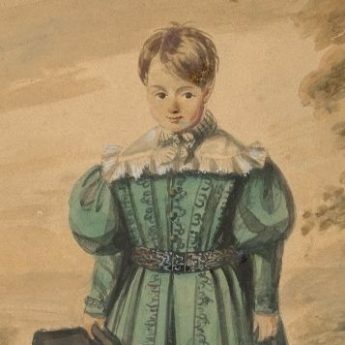 The names of the children in this delightful pair of watercolours are sadly lost to history but it is at least fortunate that the siblings have stayed together. 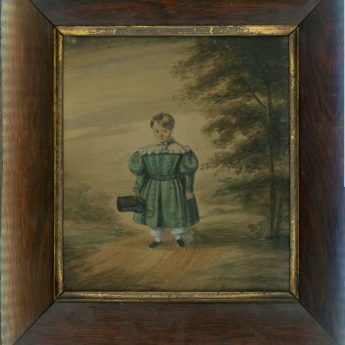 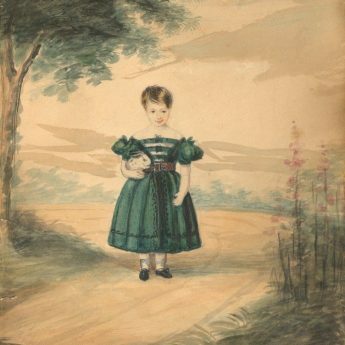 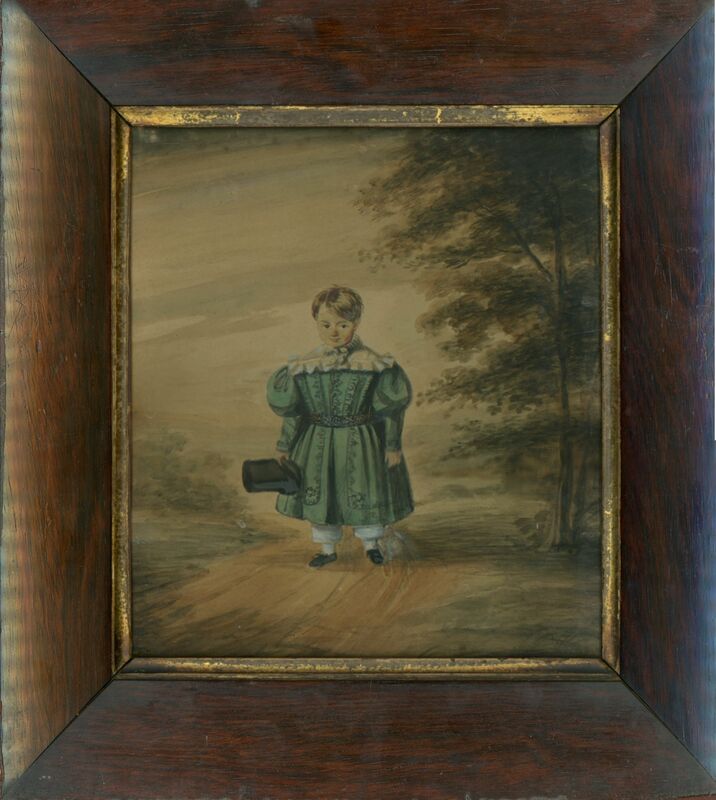 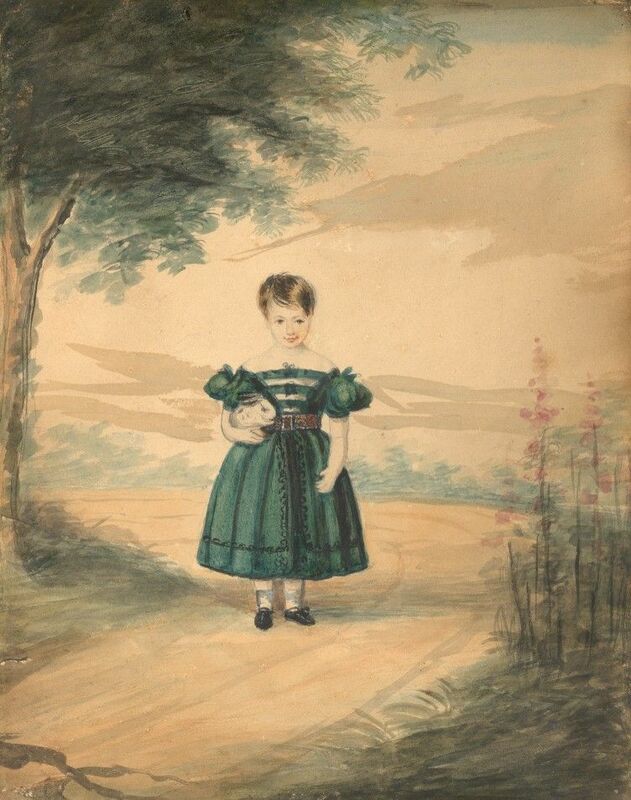 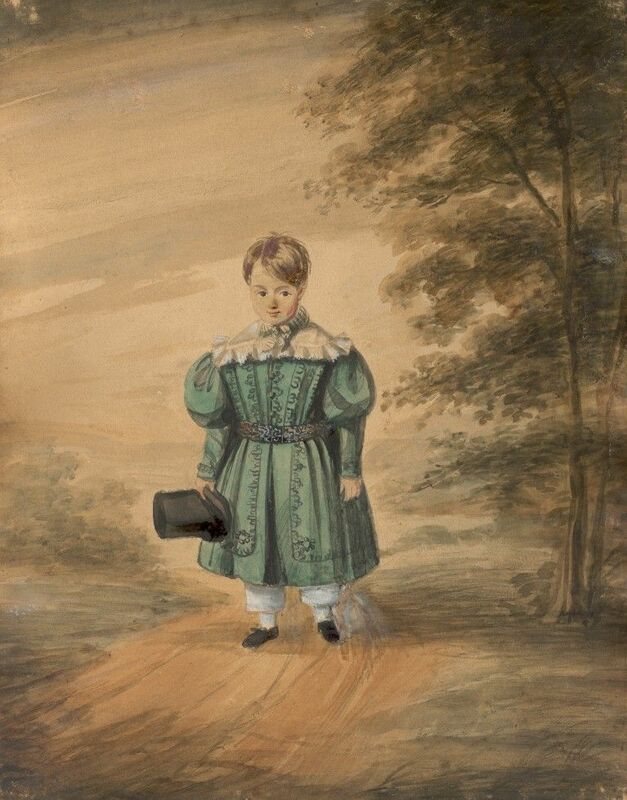 Dressed in green, the little boy is wearing a striking tunic trimmed with black braid and belted at the waist with white pantaloons and a shirt with a shawl collar fastened with a striped ribbon bow. 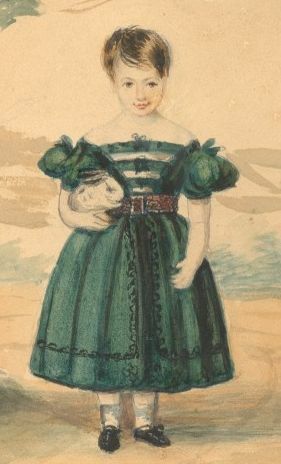 His shoes are decorated with little bows and he has a top hat in his hand. 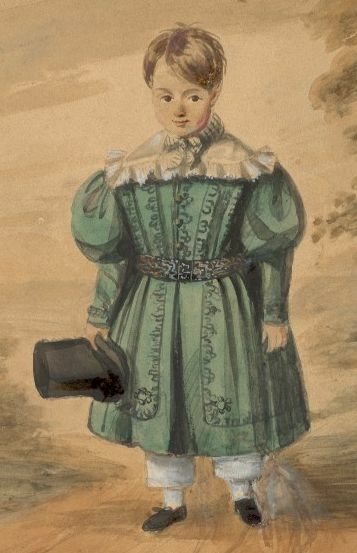 Also wearing green, his sister’s dress is similarly trimmed with braid and has tiny puffed sleeves, a slashed bodice and a belted waistline. 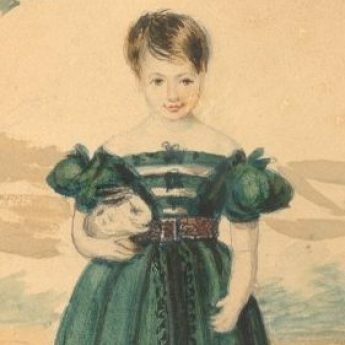 She has been entrusted with the family rabbit that is tucked under one arm. 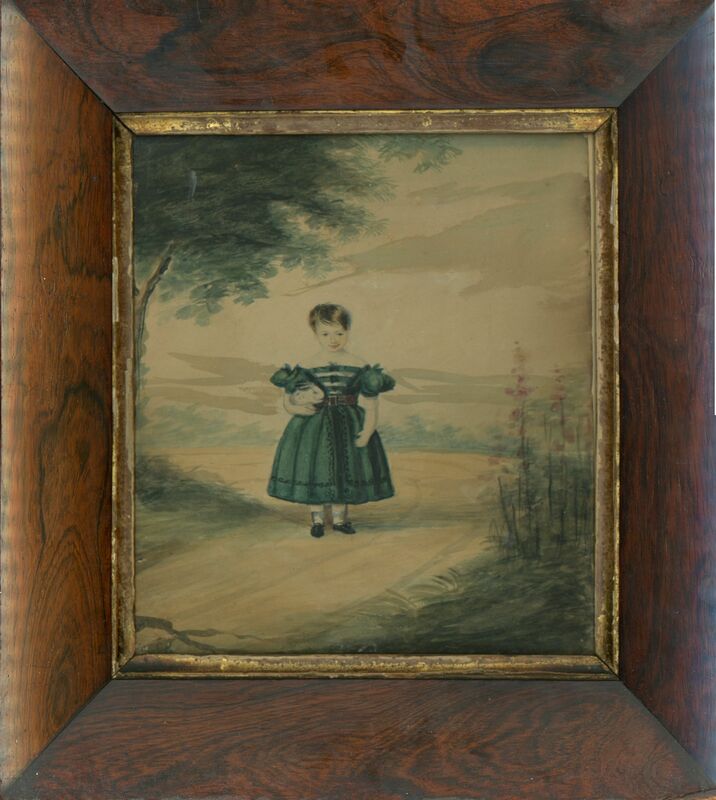 Both portraits are set against landscape backdrops with trees and pink hollyhocks. 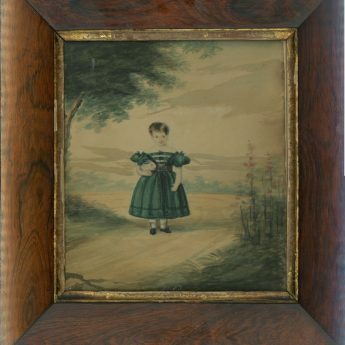 The portraits are set in the original dark wood frames with tarnished gilt slips.